There can be a number of signs its time to change your car’s battery. If your battery doesn’t hold a charge, or if your battery fails to provide enough cold cranking amps in lower temperatures then it’s likely time for a new battery. Look for a build-up of whitish or blue film around the terminals. If there is a buildup, cleaning it may solve the issue. Be sure to wear gloves and disconnect the battery terminals before cleaning! This residue can contain sulphuric acid. You can clean your battery terminal with a mixture of baking soda and water to neutralize the acid. There are also battery terminal brushes to help with this task. Hook it up to a battery charger and let it sit for a few hours at a low charge rate. If it fails to charge, you have a faulty battery. Most vehicles have a battery meter on the dash that will show a charge when the vehicle is running. If this dial is outside of the normal range, your alternator may need to be replaced. Be careful! This is a mixture of sulphuric acid and distilled water. Wear safety goggles and disposable gloves. Clean the area around the battery terminals and the top of the battery of dirt and debris with a shop towel before proceeding. Open the battery ports. Your battery will typically have two semi-rectangular plastic covers to seal each battery cell port. They can be gently removed by hand or with a putty knife. Assess the electrolyte level in each port. Each cell should have an equal amount of liquid. If the level is slightly low, you can fill it with distilled water back to a higher position. If the fluid is mostly evaporated, you may need a replacement battery. You can also test your battery fluid with a hydrometer to measure the level of sulphuric acid in the electrolyte. If the reading is low, that means the battery will be weak. If your battery fails these tests, you have two options for changing your battery: you can do it yourself, or you can take it to your trusted mechanic. 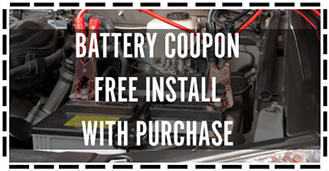 In most cases changing your battery is a quick and easy job that can be done with basic tools. Your owner’s manual will also have instructions for changing your battery specific to your vehicle. Before you remove your battery, set up a workspace. Ensure your vehicle is on a flat, level surface and that you won’t be working near any open flames or something that could spark. Wear gloves and safety goggles whenever you are working near your battery. Before you disconnect your battery, make sure you have all of the PINs for your electronic equipment as they may reset. You can also plug a memory keeper into your cigarette lighter socket to avoid resetting. Locate your battery. On most vehicles it will be on one side of the front engine compartment. If in doubt, consult your Owner’s Manual. Disconnect the negative (-) battery terminal. Loosen it with a wrench and slide it off. To avoid a short, always disconnect the negative (-), black terminal first, and then disconnect the red positive (+) terminal. (On installation, connect the positive first, and then the negative). Loosen the battery hold-down bolts (if applicable). You may have to remove the brace from the top of the battery tray in order to get the battery out. Remove the car battery, and install your new battery. Install the positive (+) and then the negative (-) terminal, and tighten them with a wrench. Close the hood before starting your car. Ensure that all electronic devices work properly, and reset if needed. Remember to properly dispose of your old car battery. Your local Eco Station should have a designated area for used car batteries. Vernon Nissan can also recycle your old car battery for you as well. If you would rather not replace your battery yourself, or would like advice on how to replace your battery, feel free to contact Vernon Nissan and one of our service representatives would be happy to help you.